If you are looking for a way to revolutionize how you keep your home or business comfortable, you should give serious considerations to ductless mini split systems. These devices provide a number of amazing benefits when compared to traditional forced-air heating and air conditioning systems. At Precision HVAC, our heating and air conditioning contractors are here to help you with this project. We proudly install, repair, and maintain mini split heat pumps for both local residents and businesses. Call Precision HVAC today if you need to hire a professionally licensed air conditioning and heating contractor in Saugerties who installs and repairs ductless mini split systems. Our courteous and polite staff would be happy to take your call, to answer any questions that you may have, and to schedule your appointment today. We will work our hardest to provide for your needs in the best possible manner. One of the best reasons to consider installing ductless mini splits in your home or business is that you can vastly improve the energy performance of your heating and cooling system. These amazing heat pumps are a fantastic energy efficient alternative to traditional forced air equipment. Because they do not rely on air ducts, there is no energy loss as cooled or heated air is transferred throughout your property. Another great reason to upgrade to a ductless mini split system is that you will have the best possible control over your property comfort. These devices are installed in various zones throughout your property. If people are not in a certain area, there is no need to keep it comfortable. Having a well designed mini split system allows you to keep various portions of your home or business at different temperatures depending on your energy usage and comfort needs. This heightened level of control is very truly amazing. You and your family are guaranteed to be completely satisfied. 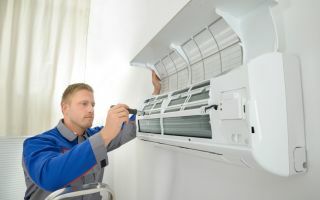 At Precision HVAC, our Saugerties air conditioning and heating contractors can care for your ductless mini split system at all stages of its service life. We can help you select, design, and install the best possible and most customized equipment possible. Our technicians will always be available to provide for your routine maintenance and emergency repair needs. You can always rest assured knowing that your ductless mini spit heat pumps are maintained by our exceptional experts. If you need to hire a professionally licensed air conditioning contractor in Saugerties who specializes in mini spit systems, call Precision HVAC today at 845-399-0669, or fill out our online request form.